The Texas Senate tentatively approved a bill that would change how health providers in the state handle fetal tissue Wednesday. Editor's note: This story was updated March 30 to reflect the Senate's final passage of the bill. The Texas Senate on Wednesday tentatively approved a bill that would change how health providers in the state handle fetal tissue. Senate Bill 258 by state Sen. Don Huffines, R-Dallas, would require health providers to bury or cremate the remains of aborted fetuses and create penalties for providers who do not follow the procedure. The measure passed a second reading 22-9. It needs a third vote before it can head to the House. Huffines’ legislation is intended to serve as the legislative counterpart to a Texas Department of State Health Services rule that was supposed to go into effect Dec. 19 but was delayed when a federal judge blocked the rule in January. Huffines said in a February committee that hearing his bill “strictly deals with dignity of the unborn” and was not aimed at increasing the cost of abortions in the state. 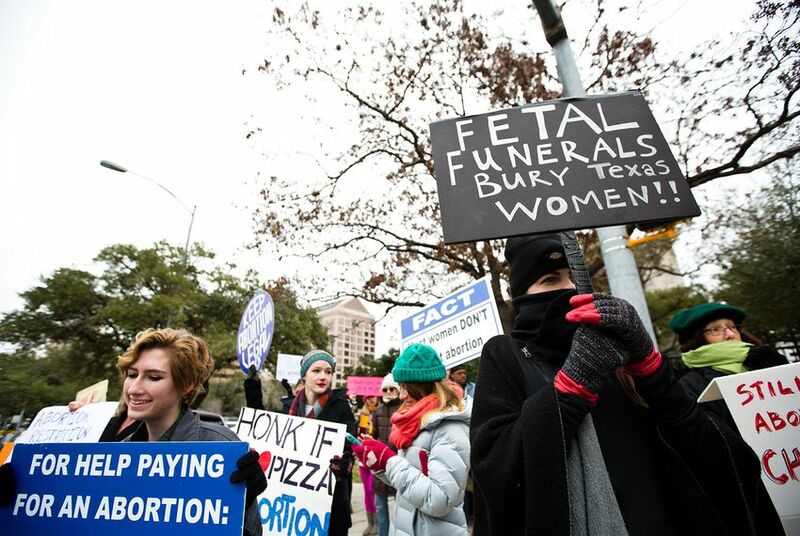 While anti-abortion groups argued that the rule was a means to bring human dignity to the fetuses, reproductive rights advocates said the rule was another way for Texas to punish women who chose an abortion, saying the cost of the burials would be passed on to patients, making abortions harder to obtain for low-income Texans. The bill is one of several related to abortion in Texas. Republican lawmakers have also filed Senate Bill 8, which would ban abortion providers from donating aborted fetal tissue to medical researchers, and Senate Bill 415, which targets an abortion procedure known as "dilation and evacuation." On the Democratic side, bills have been filed that would reverse the 24-hour period a woman must wait to get an abortion and would cover contraceptives for people younger than 18 years old. The Senate on Thursday gave the bill final approval on a 22-9 vote. Senate Health and Human Services Committee members heard emotional testimony from reproductive rights and anti-abortion advocates on Wednesday over Senate Bill 8, Senate Bill 415 and Senate Bill 258. Texas Democrats and abortion rights advocates are strategizing amid mounting worries over what the GOP-led Legislature and federal lawmakers may do in the coming months to further restrict access to the procedure. Reproductive rights advocates have expressed concern that Texas lawmakers will take bolder steps in the upcoming session to defund abortion providers and dismantle access to abortion, birth control and other sexual health services.